The structure indicated is the pectineus muscle. All the muscles of the medial compartment are innervated by the obturator nerve except for the pectineus (femoral nerve) and the hamstring part of the adductor magnus (tibial division of sciatic). The muscles of the medial compartment generally serve to adduct the thigh at the hip joint. 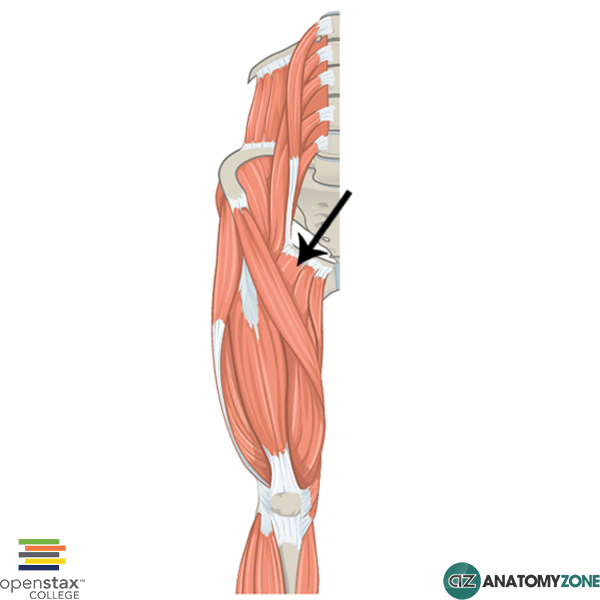 Due to the innervation of the pectineus muscle by the femoral nerve, it is sometimes classified as a muscle of the anterior compartment of the thigh. Learn more about the anatomy of the thigh muscles in this tutorial.